Can you guess the saddest film of all time? Picture, for a moment, yourself as a neuroscientist. Yeah, that’s perfect. You’ve got the idea. Ok, now, imagine that you and your fellow mind scholars want to study what part of the brain activates when people feel certain emotions. For the purposes of this example, let’s say you want to study sadness. How would you go about making people feel sad? I know if you locked me in a room with a TV looping those heart-wrenching Sarah McLachlan commercials, I’d be mush in no time. But it’s hard to say if the same would work for someone else. Truth is, when dealing with a large group of research subjects, finding a repeatable method of stimulating emotion is always a challenge. It was this challenge that spurred James Gross, a graduate student at the University of California, Berkeley, and his psychology professor, Robert Levenson, to endeavor to find out which movie scenes would make people feel emotion most powerfully. It was a quest that, by its end, established science’s gold standard for turning people into blubbering piles of tears and despair. 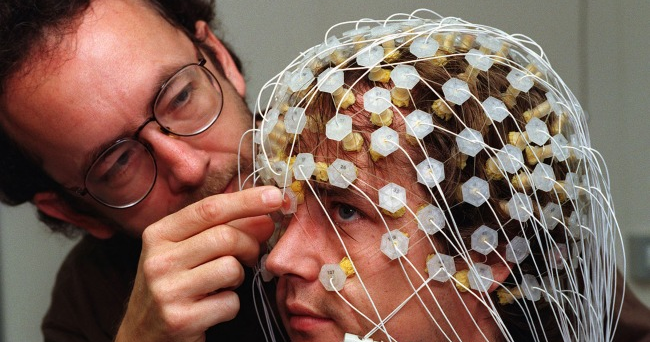 In 1988, Levenson and Gross began compiling a list of emotionally charged movie scenes by soliciting suggestions from “colleagues, film critics, video store employees” and scientific studies that had used movies to study emotion. From that list, they selected 76 scenes that they believed would best provoke seven emotions: contentment, surprise, disgust, anger, sadness, fear and amusement. Then, the pair showed the 76 scenes to 500 Berkeley undergrads. After each clip, the students filled out surveys saying what emotions they felt while watching, and how intensely they felt those emotions. From those results, Levenson and Gross identified 16 films that were the most effective at eliciting each of the seven emotions. 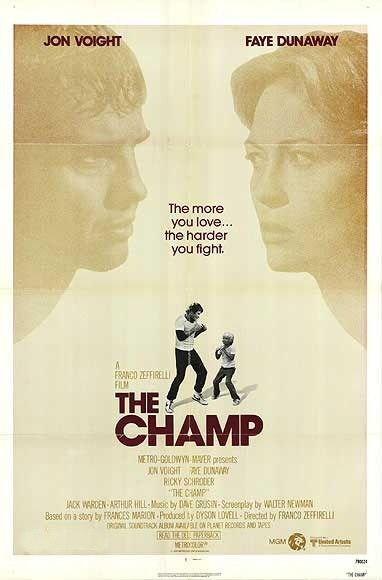 Now, I don’t know how many of you are familiar with the 1979 film “The Champ” — I certainly wasn’t, and Levenson and Gross weren’t either. Suffice to say that it stars Jon Voight as a washed-up boxing star who climbs back into the ring in hopes of giving his adorable son T.J. a brighter future. Can you smell the Oscar bait? At the end of the movie (spoiler alert!) Jon Voight wins the big fight against all odds (shocker), but in a horrible twist of fate he dies suddenly in his dressing room right after the fight. In the film’s final, heartbreaking scene, a tearful T.J. shakes his father’s body in disbelief, crying “Champ, Champ! Wake up Champ!” You can watch the scene below, but have your tissues ready. Even out of context, it’s scientifically guaranteed to be a sobfest. It’ll come as no surprise that the intensity of amusement viewers felt watching a clip from “Robin Williams Live” only just surpassed the intensity of sadness they felt watching “The Champ.” In short, “The Champ” could make people cry almost as hard as Robin Williams could make them laugh. The story doesn’t end there. “The Champ” was so successful at inducing an acute emotional response that after Levenson and Gross published their findings in 1995, studies of all stripes used it to do just that. A keyword search on Google Scholar dredges up more than 4,000 studies that, for one reason or another, needed sad subjects and turned to “The Champ” to get the job done. It’s a little strange to think that, scientifically speaking, much of what we’ve learned about emotion in the last 20 years can be traced to a long-forgotten, “Rocky”-aping flick that came out when Jimmy Carter was still president. Is it possible that the film’s widespread scientific use has skewed the data? Sadness is surely more complex than what “The Champ” brings out of us. At the very least, a lot of sad movies have come out since ’88. I mean, have you SEEN “Pursuit of Happiness”? We ought to at least reevaluate the standard. So, back to you, neuroscientist. You’ve gotta make people cry. What film would be your hands-down, guaranteed tear-jerker?